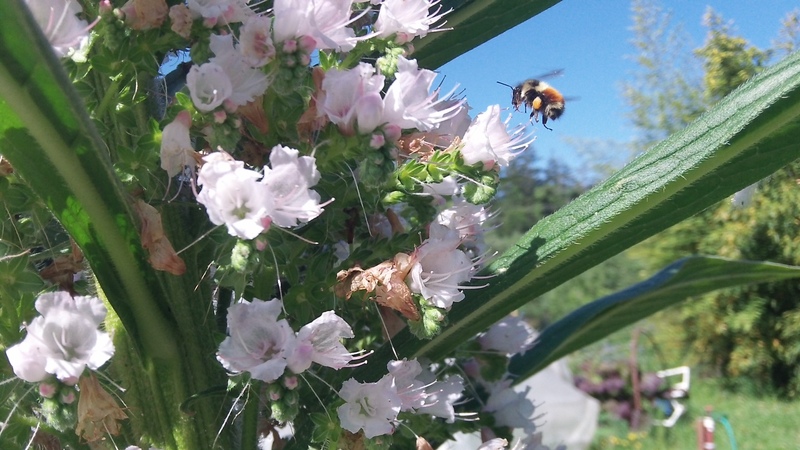 Echium tree demands attention…and gets it almost exclusively from the bumblebees. 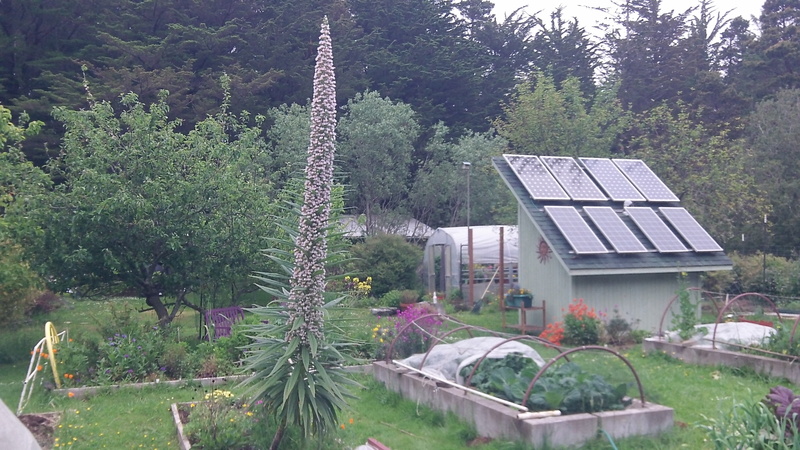 We believe this is an Echium Pininana or Simplex. We bought it last year for the bees. It was supposed to have blue flowers. This one is more white tinted with a bit of red and is called the “Tower of Jewels.” The bumble bees flock to it. We get all kinds…Bombus Melanopygus, Bombus Californicus, and others. A lucky shot…press the button on a digital camera, wait an instant before it takes the shot. This one worked out well. 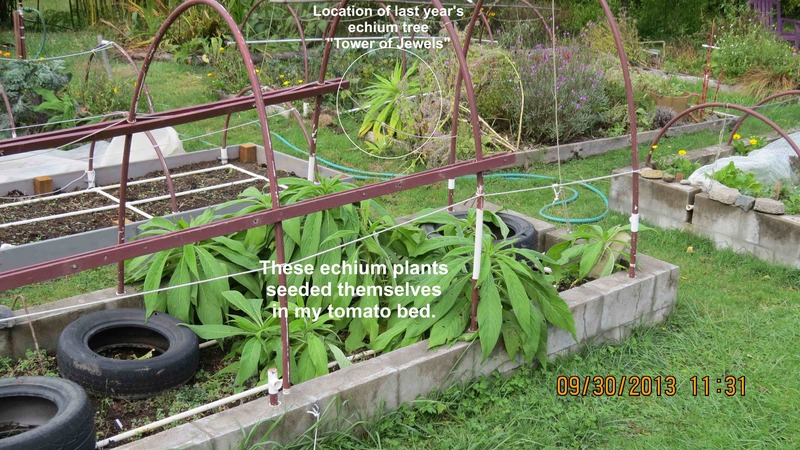 September 30, 2013 I was hoping the echium tree “Tower of Jewels” would throw some volunteers. I wasn’t disappointed. These will be “Towers” for 2014. Following up on the transplants.